Ability: Water Cyclone - As often as you like during your turn (before your attack), you may move a Water Energy from your Active Pokmon to 1 of your Benched Pokmon. This power can't be used if Kingdra is affected by a Special Condition. Attack #1: WWCC Rapids (50) Flip a coin. 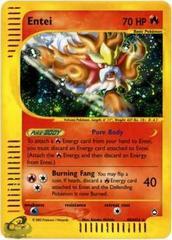 If heads, discard 1 Energy card attached to the Defending Pokmon, if any.